Aysen Gruda passed away at 74. 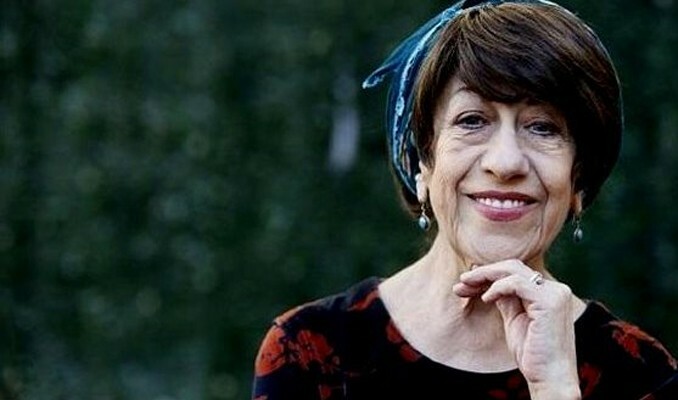 Aysen Gruda, renowned Turkish actress who was well-known for her comedic roles, has passed away at the age of 74. Gruda was being treated for pancreatic cancer in the intensive care unit at Kağıthane Derindere Hospital when she passed away on 23 January. Ayşen Gruda was born on 22 August 1944 in İstanbul’s Yeşilköy district as the daughter of the Erman family. Her comedic talent was discovered by her parents during her childhood as she mimicked their Armenian neighbours in Yeşilköy. Her father, a train operator, passed away when Gruda was in her second year of high school. Due to financial difficulties, Gruda then dropped out of school and started working. She began her professional acting career at Tevfik Bilge’s touring theatre. Her first role was that of a servant in a vaudeville – which is a light, comical theatrical piece frequently combining pantomime, dialogue, dancing, and song – called “Kongre Eğleniyor”, in 1962. Ayşen Erman, which was her maiden name, married theatre actor Yılmaz Gruda. When their daughter Elvan was born, Ayşen Gruda took a short break from her acting career. Her marriage did not last long but she continued to use her married name after her divorce. Other than theatre, Gruda also acted in sketches and series on various television channels. She played in many classic examples of Turkish cinema, such as “Tosun Pasha”, “Sut Kardesler”, “Sabanoglu Saban” and “Hababam Sinifi”. Gruda’s funeral will take place at Zincirlikuyu Mosque after Jumah prayer on Friday.